The Roadmap HR - Planning module identifies the need for manpower based on the strategic, and tactical needs of the top-level and mid-level managements, and the plans of individual departments; and verifies the need against the resources at hand, consolidates the result with the necessity and generates a request for manpower and delegates the same through approvals from the pre-defined hierarchical channel, to be delivered to the Human Resources Department. This automated facility streamlines your business activities without any impediments. The automated generation of manpower request saves you the trouble of granting / availing appointment slots and subsequently indulging in time consuming discussions to reach concurrence with the management and its units before deciding on a manpower necessity. The module's ability to compare and contrast your manpower requirement with your available human resources puts you at the advantage of negotiating timely recruitment; or not having to unnecessarily recruit, but to just reallocate existing workforce to fill in the manpower gaps of your Company. Integrated with all departments in your Company and with external service providers, those in any way concern your employees; and capacitated to store and organize your entire employee database, the module also acts as a tracking tool that registers each of your employee activity. Maintain your business protocol by never by-passing the chain of authority as the module, as much as it is designed to automatically analyze and raise manpower requests, is also assigned standing instructions to gain approval for the requests, through your appointed hierarchical channel. The HR - Planning module's capacity to assess manpower requirement based on your Company's Long-term goals, Short-term goals, and Departmental plans, eliminates inappropriate generation of manpower requests, thereby guiding you to treat every request with genuine interest. Equipped with the comprehensive collection of employee-wise and department-wise data to track your talent pool, this module identifies the potential of each of your employees based on qualification, skill sets, and other credentials, and assigns them appropriate job titles and positions. The Roadmap ERP HR - Recruitment module alleviates the recruitment of talent by automating the burdensome tasks involved in the process, enabling you to find more time to focus on identifying the best talent. The module significantly saves on Cost, through a dedicated built- in applicant tracking system, and by automating many of the recruitment tasks. Most importantly, it helps your organization to establish a stronger talent-management process, and recruit the best people, who will help your company meet its goals and objectives. The module automates tasks like manpower request; advertisement; receipt of application; conduct of many assessment tests, checks, and interviews; and in the event of a candidate being recruited, issue of offer letter and inclusion of candidate into employees master list; and, thus, saves you Cost and Time. The module is designed to create and maintain a library of job descriptions by means of equating 'skill sets' to 'job titles'; and in the event of having to meet an approved manpower request, you can pull out needed information from that library and just know whom you should look out for. Gain clear visibility, track, and rate aspiring applicants through the recruitment ladder, choose the best performers for the interview process, and analyze the data acquired from the tracking and rating and the recommendations of your recruitment personnel, to make the best decision. The module; equipped with a huge resume bank, saves the resumes and other data of all the applicants, who could not be recruited; and on a later date when an approved manpower request arises, is devised to project for your perusal, the resumes matching the requirements for the position. Have the power to go online and post your manpower requirements; receive applications; conduct evaluations, written tests (objective and descriptive), selection interviews, and supervisory interviews; send alerts and intimations; and even project a virtual job preview. The Roadmap HR - Employee Portfolio module stores and grants you any time access to each of your employees' common profile, which includes his / her personal details, traits, education, skill sets, experience, etc. ; and all inter-organizational 'touch points', namely, type of employment offered (Temporary, Trainee, Consultant, Permanent, etc. ), different departments / positions / locations served, merits assigned, demerits registered, grievances voiced, basic salary with allowances and deductions, loan(s) granted, etc. The module eliminates the monotonous process of government reporting and record-keeping, by automating registry of statutory details like identity proofs; appropriation of ESI, PF, Income-tax monies; liaison with employee bank account to remit due remuneration, etc. Tailor the module to accommodate your company's Attendance Plans and the merit and demerit system associated to it; thus, having at your finger tips, the ability to track, access, and assess the attendance quotient and the resultant value of each of your employees. Be alerted by the Roadmap ERP's HR - Employee Portfolio module's unique tenacity to track information related to employee legal documents, like Passport, Visa, Driving License, Work Permit, Identity Card, Medical Card, and Insurance; and never miss out on renewals and validations. When it is employee-appraisal-time in your Company, our module guides you to make correct judgments by projecting true reports based on employee performance in all facets of all responsibilities he / she was deployed and purges your system of wrong decision or indecision at all levels. Seamlessly integrate your new recruits; and promoted or transferred staff into their new atmospheres in your Organization, with the aid of the Roadmap ERP's HR - Orientation module. The professional and easy co-ordination, sequencing, scheduling, and conduct of the orientation process, by the module, ensures that every employee introduced into a new atmosphere in your Company is properly trained to take up the position in the shortest possible time. The module's capacity to link specific Orientation Models with specific employee types makes sure that your Human Resources Department assigns the correct type of Orientation plan to suit the training requirements of newly recruited personnel, e.g., machinist, operator, accountant etc. Orienting new recruits from the perspectives of your Organization and the role and department the personnel is deployed; assessing the recruit through a Post-Orientation evaluation; and gaining feedback from participants, projects a total report of the success rate of the training delivered. The Roadmap HR - Training and Development module accomplishes the most important aspect of training and developing your newly recruited and already existing talents, to qualify and/or update them to match the needs of their jobs. This in further to being very important for the success of your organization also boosts the morale and productivity of your employees. The module identifies employees' training requisites, like General, Core, Personal competencies; makes yearly training schedules; prompts to raise approved training requests; and ensures that your workforce is trained and tuned appropriately through internal or external programs. The module evaluates your employees' pre and post training performances, tracks the training history of each employee, calculates the training costs on the whole and at an individual level; and manifests the employee based and finance based success rates of training sessions. The Roadmap ERP's HR - Performance Appraisal module keenly tracks the job efficiency of each of your employees, compares and reports their individual appraisal pattern over a period of time; validates their performance through your choice of method for validation, from the 10 methods at its disposal; and ultimately provides the best possible appraisal of each of your employees. The module provides you an overview of your employees from a professional, personal, and cultural perspective, by inferring from registered details; like dependents, education, experience, skill set, issues, accolades, and grievances; thereby, enabling you to meet all the Objectives of Appraisal. Fitted with standing orders, the HR - Performance Appraisal module is flexible to be adapted into any Appraisal procedure, be it for a candidate completing probationary period, or be it a regular annual merit increase Appraisal, or an Appraisal to determine contract renewal. The module's absolute integration with employee profile management; facilitates the conduct of Appraisal for all purposes, such as promotion, transfer, salary increase, and training requirement; all as per the parameters prescribed by the HR policies of your Company. The ability to support almost all appraisal systems like, BARS method, Check List method, Critical Incidents method, Essay method, Forced Choice Rating method, MBO method, Ranking method, Work standard method, Scale Rating method, and Multi Rater Assessment; allows the module to fit into any business. The Roadmap HR - Leave and Time Management module is automated to ascertain, calculate, track, grant / deny, aptly segment, convert unused leave into payments (if allowed), and delineate unto you a comprehensive description of the Accrued, Outstanding, and Advance leave profiles of your employees. In adherence to your HR leave policy, the module, appropriately implements, controls/validates, and effectively maintains a record of your employees' other leave details, like sick leave, leave with pay, leave without pay, etc. Go paperless through the module's faculty that enables you to e-process and decide on leave requests, while the programmed structure automatically delivers your approval / denial to the applicant; and also be facilitated with the automated conversion of leave requests into leave entries. The module is integrated with the attendance system of your Company, and this integration empowers you to determine the performance efficiency of your employees through assessing his/her worked hours, on-time arrivals, late arrivals, permission, overtime, etc. Put to order, the processing of leave encashment requests from your employees, with the help of the module's credibility to assess and fittingly cater to the requests by collating them with their corresponding financial aspects, and generating related financial documents. Effortlessly gain access to the details of all kinds of leaves that each of your employees is entitled to avail, and accordingly issue leave approvals or denials. The Roadmap ERP's HR - Loan Management module is crafted to deal with different kinds of loans, as it is fed with defining factors of a flurry of loan categories. This factor allows any organization to effectively and effortlessly configure its policy for meeting its employee loan requests, and stipulate min/max amounts of loan, rates, frequency of amortization, and other recovery conditions. The module capacitates you to meet your employees' life-time ambitions, like building a house; and also emergencies, through appropriate loan programs; and the flexible amortization plans, neither cause them financial burden nor render you powerless to recover the loan. The integration of this module with essential financial constituents almost automates the loaning procedure on both ends, through loan disbursement via employee payables or payroll, flexible loan amortization schedules, and employee loan deduction through Payroll. The Roadmap ERP's Business Trip and Ticketing module validates, authenticates, and actuates the smooth and successful processing of your official trips and that of your staff. 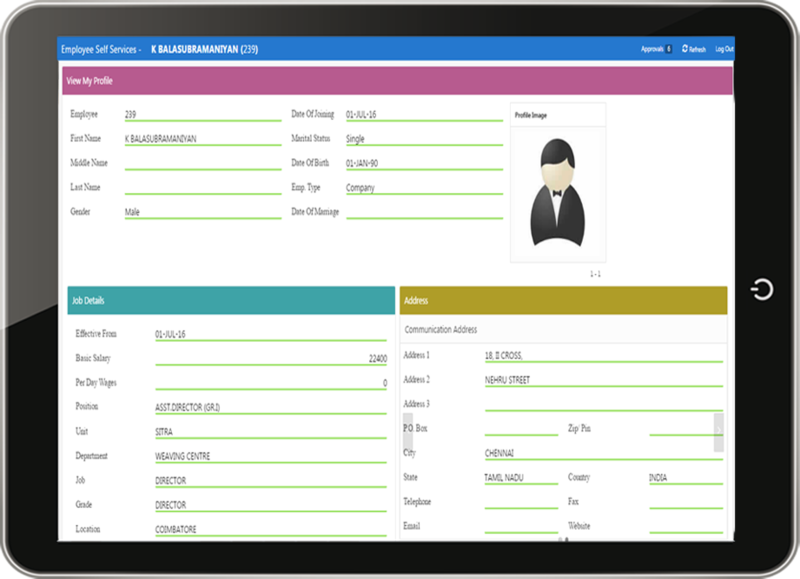 In addition, the module also takes care of the periodically assigned ticketing expenses and procedures of your employees and applicable dependents. The module strictly adheres to the key aspects prescribed by you to qualify your staff members for a business trip, thoroughly validates and consequently authenticates eligible candidates for the trip, and ensures efficient appropriation of finances. Direct cost efficiency of business trips are achieved by the modules ability to finance business travels through 'Per Diem' mode, wherein expenses per day are paid in advance; and through 'Reimbursement' mode, wherein, based on production of bills, expenses are reimbursed after the trip. As per the parameters set by you, the module identifies the staff members and their dependents that are eligible to be provided with tickets for their periodical home-bound vacations; and accordingly allocates funds for their tickets. The module tracks the instances wherein no travel requests were made and accrues the ticket value in accordance to the periodic nature assigned to it; and gives instant access to 'ticket current balance' or actuate 'Ticket Encashment' through AP Payables or Payroll. The Roadmap ERP's HR - Medical module, instigated by your Company-specific medical reimbursement criteria; powers the procedures involved in the medical coverage and support offered by your company to your staff members, and actively takes care of your employees' and their dependents' medical expenses, thus, caring for your staffers and standing up to your Governmental prescriptions. Based on Hospital Contract Scheme, the module facilitates the smooth functioning of the contract based transactions between your business and your choice of hospital; and caters to your employees' needs in accordance to your company policies. The module streamlines the Insurance Card based medical support system by ensuring proper remittance of premium and appropriate maintenance of the insurance, so that, in the event of any medical need your employees get the applicable support from the insurance company. The module accomplishes the medical Reimbursement policy of your company by evaluating medical claims as per your allowance criteria, and by approving eligible payments for eligible candidates; thereby almost automating the work of your medical officer. The Roadmap ERP's Government Relations module upon receipt of input from the HR Department, handles the employee oriented Governmental procedures, like applying for and renewing residential permit, work permit, sponsorship transfers, exit & exit-re-entry visas, business visa's, labor visa's, etc; and furnishes your HR department with the corresponding accomplishments and reports. The module actively tracks due dates and renewals and in the event of such impending activity, prompts the HR department to request the Government Relation Department to take necessary action. This ensures maintenance of Governmental mandates without default. The module, upon receipt of request from the HR Department, directs the Government Relation department to contact the concerned Government office and gets the job done; and records the details in the concerned employee's profile, thus, keeping your HR data bank updated at all times. 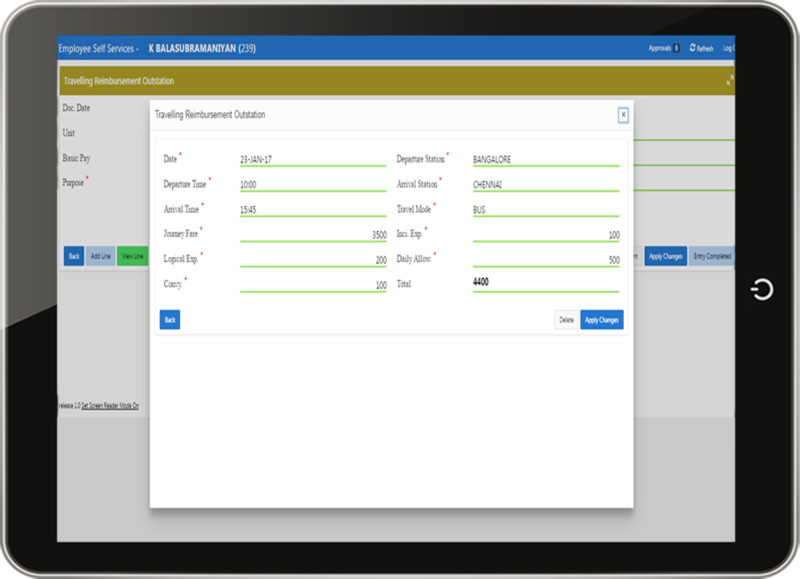 The Roadmap ERP's Payroll Management module's integration with the HR, Cash Management and the Payroll Management departments helps your Finance, Costing, and Production departments to fetch and utilize the data for any employee related analysis. The module supports configuring any kind of elements and combinations with a simple configuration tool without the intervention of your technical persons. Further, it helps the HR people to process the payroll with a touch of a button. The absolute linking of the module with the other modules of the suite facilitates the automated transfer of accumulated earnings of your employees like, leave encashment, gratuity etc., to the respective liability accounts. The module submits the ESI, PF, TDS and other statutory allocations from the payroll system and generates up-loadable reports for ESI, PF, and other Statutory allocations and remittances, thereby rendering your credibility infallible. Based on the protocol designed by you for your Company, the module, gives you the liberty to configure your own formula, and simplify the process of acquiring system generated reports on periodical/ annual accruals. The module's provision to prepare payroll multiple times, and verify and process payroll through rigid validations; allows you to be confident about the definitive results of your pay calculations. Reduce the voluminous data entry work of your HRD and give it ample scope to focus on core HR oriented activities by empowering your employees to maintain their information like updating leave, permission, contact details; through our Employee Self-service portal. Our ESS portal enables your staff members to view their job title, supervisor's name and department information, and although these data are usually only viewable but not editable, they can alert the proper people when they think that their information is not correct. Employees can view their Performance Reviews and salary information through our Employee Self-Service and know their value to the Company and how much money they make for their job; and if they see any discrepancy in the data they can raise an alert and rule out flaws.